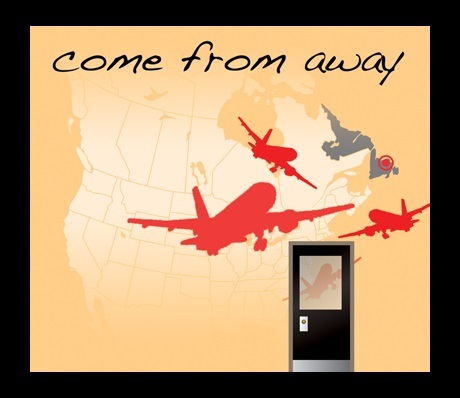 COME FROM AWAY tells the true story of when seven thousand people landed on the doorstep of Gander, Newfoundland… and the people of Gander “put the kettle on.” A rocking musical about when 38 planes from around the world were diverted to a small, Canadian community on September 11th, 2001 – doubling its population in an instant. While the world witnessed the worst acts of humankind, the stranded passengers had their faith in humanity restored by the spirited people who comforted those who had come from away. I had the pleasure of seeing this show in the original workshop at Sheridan College and it is phenomenal. I can’t wait to see where it goes in future.